رحمانی, علیرضا, امینی, سمیرا. (1394). حذف آرسنیک از محیط‌های آبی توسط خاک اره اصلاح شده و اصلاح نشده درخت بلوط. مجله آب و فاضلاب, 26(6), 42-49. علیرضا رحمانی; سمیرا امینی. "حذف آرسنیک از محیط‌های آبی توسط خاک اره اصلاح شده و اصلاح نشده درخت بلوط". مجله آب و فاضلاب, 26, 6, 1394, 42-49. رحمانی, علیرضا, امینی, سمیرا. (1394). 'حذف آرسنیک از محیط‌های آبی توسط خاک اره اصلاح شده و اصلاح نشده درخت بلوط', مجله آب و فاضلاب, 26(6), pp. 42-49. رحمانی, علیرضا, امینی, سمیرا. حذف آرسنیک از محیط‌های آبی توسط خاک اره اصلاح شده و اصلاح نشده درخت بلوط. مجله آب و فاضلاب, 1394; 26(6): 42-49. در این تحقیق، خاک اره به‌عنوان ماده‌ای اقتصادی در حذف آرسنیک از محیط‌های آبی بررسی شد. در این مطالعه از خاک اره اصلاح شده و اصلاح نشده بلوط استفاده شد. نمونه آرسنیک مورد استفاده با اضافه کردن آرسنات سدیم در آب مقطر آماده شد و تأثیر pH، مقدار جاذب، زمان تماس و غلظت اولیه آرسنیک پنج ظرفیتی بر میزان جذب سطحی آرسنات توسط هر دو جاذب بررسی شد. نتایج نشان داد که خاک اره اصلاح شده با زمان تماس 60 دقیقه و در pH برابر 7، مقدار جاذب 4 گرم در لیتر و غلظت اولیه آرسنات 150 میکروگرم در لیتر، بیشترین راندمان جذب (بیشتر از 91 درصد) را داشت. داده‌های هر دو جاذب به‌خوبی از مدل لانگمیر تبعیت کرد. در شرایط بهینه با غلظت اولیه آرسنات 150 میکروگرم در لیتر و در pH، زمان تماس و دز جاذب بهینه، بیشترین میزان حذف توسط خاک اره اصلاح شده، 85/93 درصد به‌دست آمد. با توجه به بازدهی بالا در دز جاذب و زمان کمتر و عدم نیاز به اصلاح pH و همچنین قابلیت دسترسی و ارزان بودن خاک اره، استفاده از خاک اره اصلاح شده بلوط، به‌عنوان جاذبی مؤثر در حذف آرسنیک از محیط‌های آبی پیشنهاد می‌شود. In this research, oak sawdust, in both modified and unmodified forms, was used as an economical and low-cost material for the removal of arsenic from aqueous solutions. For this purpose, arsenic synthetic samples were prepared using NaAsO2 in distilled water and the effects of pH, adsorbent dosage, contact time, and initial As(V) concentration were investigated on As(V) adsorption using the adsorbents prepared. The results showed that modified sawdust achieved the highest efficiency (>91%) over a contact time of 60 min and at pH 7 when the adsorbent dosage was 4gr/L and the initial As(V) concentration was 150 µg/L. The data from both adsorbents fitted well to the Langmuir isotherm. Under optimum conditions (an initial As(V) concentration of 150 µg/L and optimal absorption pH, contact time, and adsorbent dosage), maximum As(V) removal efficiencies were 93.85% and 91.034% with the modified and unmodified sawdust adsorbents, respectively. Given the availability and low cost of the adsorbent used and the high removal efficiency obtained at lower adsorbent dosages and contact times, the modified oak sawdust may be recommended as an effective adsorbent for the removal of arsenic (v) from aqueous solutions, especially since it requires no need for pH modification. 1. Li, J., Xia, W., Zhou, J., Li, J., li, W., and Xiao, X. (2011). “Adsorption behavior of As (III) from aqueous solutions on ferric hydroxide.” Energy Procedia, 11, 3436-3440. 2. Awual, M. R., Shenashen, M. A., Yaita, T., Shiwaku, H., and Jyo, A. (2012). “Efficient arsenic (V) removal from water by ligand exchange fibrous adsorbent.” Water Research, 46(17), 5541-5550. 3. Ergican, E., and Gecol, H. (2008). “Nonlinear two-phase equilibrium model for the binding of arsenic anions to cationic micelle.” J. of Membrane Science, 325(1), 69-80. 4. Gecol, H., Gecol, E., and Fuchs, A. (2004). “Molecular level separation of arsenic (V) from water using cationic surfactant micelles and ultrafiltration membrane.” J. of Membrane Science, 24(1),105-119. 5. Lim, J. W., Chang, Y. Y., Yang, J. K., and Lee, S. M. (2009). “Adsorption of arsenic on the reused sanding wastes calcined at different temperatures.” Colloids and Surfaces A: Physicochemical and Engineering Aspects, 345(1-3), 65-70. 6. Chandrasekaran, V. R. M., Muthaiyan, I., Huang, P. C., and Liu, M. Y. (2010). “Using iron precipitants to remove arsenic from water: Is it safe?.” Water Research, 44(19), 5823-5827. 7. 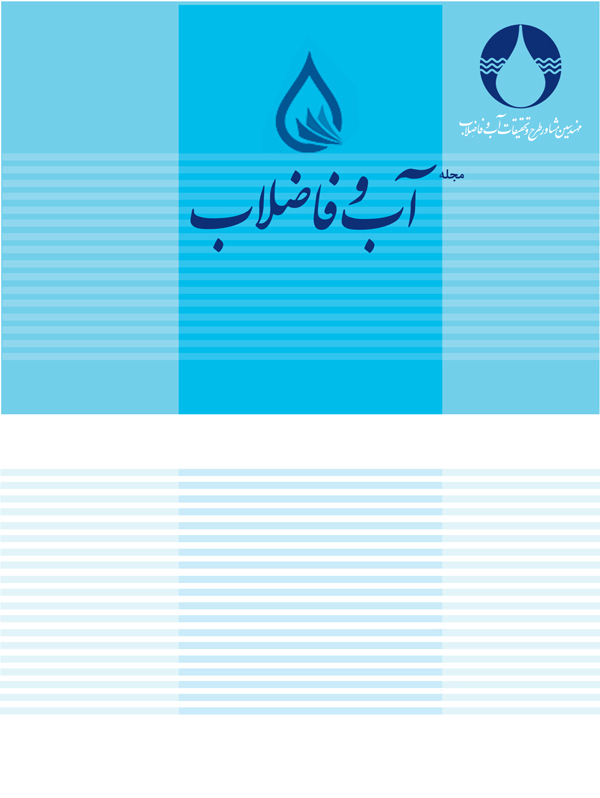 Kord Mostafapour, F., Bazrafshan, E., Farzadkia, M., and Amini, S. (2013). “Arsenic removal from aqueous Solutions by Salvadora Persica Stem Ash.” J. of Chemistry, 740847, 1-8. 10. Rehman Khan, S., Inayat, A., and Rana, A. (2010). “Sorption of reactive and acid dyes from aqueous solutions onto sawdust.” Bangladesh Journal of Scientific and Industrial Research, 45(1), 35-38. 12. Urik, M., Littera, P., Sevc, J., Kolencik, M., and Cernansky, S. (2009). “Removal of arsenic (V) from aqueous using chemically modified sawdust of spruce (Picea abies): Kinetics and isotherm studies.” International Journal of Environmental Science and Technology, 6(3), 451-456. 13. Malkoc, E., nad Nuhoglu, Y. (2007). “Determination of kinetic and equilibrium parameters of the batch adsorption of Cr(VI) onto waste acorn of Quercus ithaburensis.” Chemical Engineering and Processing, 46(10), 1020-1029. 14. Argun, M. E., Dursun, S., Ozdemir, C., and Karatas., M. (2007). “Heavy metal adsorption by modified oak sawdust: Thermodynamics and kinetics.” J. of Hazardous Materials, 141, 77-85. 15. Srivastava, S., Raj, K. R., and Kardam, A. (2013). “Efficient arsenic depollution in water using modified maize powder.” Environmental Chemistry Letters, 11(1), 47-53. 16. Nabi, G. H., and Fazelipishe, H. (1998). “Adsorption of heavy metals by sawdust.” J. of Environmental Studies, 24, 15-22. 17. Osman, H. E., Badwy, R. K., and Ahmad, H. F. (2010). “Usage of some agricultural by-prodocts in the removal of some heavy metals from industrial wastewater.” J. of Phytology, 2(3), 51-62. 18. APHA, AWWA, WEF. (2005). Standard methods for the examination of water and wastewater, 21st Ed., American Public Health Association, USA. 19. Moradi, O., Yari, M., and Zare, K. (2010). “Structural effects on the interactions of Pb(II) ion with modified banana shell and banana shell during adsorption from aqueous solution.” J. of Physical and Theoretical Chemistry, 7(2), 83-90. 21. Abbad, B., Lounis, A., and Djilali, T. (2012). “Adsorption of methylene blue from aqueous solution on the surface of Znapso-34 nanoporous material.” World Academy of Science, Engineering and Technology, 71, 1664-1668. 22. Abdel-Ghani, N. T., Hefny, M., and El-Chaghaby, G. A. F. (2007). “Removal of lead from aqueous solution usinglow cost abundantly available adsorbents.” Int. J. Environ. Sci. Tech., 4(1), 67-73. 23. Man, H. C., Chin, W. H., Rahmatizadeh, M., and MohdYusof, M. (2012). “Adsorption potential of unmodified rice husk for boron removal.” Bioresources, 7(3), 3810-3822. 26. Igwe, J. C., and Abia, A. A. (2007). “Adsorption isotherm studies of Cd (II), Pb (II) and Zn (II) ions bioremediation from aqueous solution using unmodified and EDTA-modified maize cob.” Eclet. Quím., 32(1), 33-42. 27. Jiang, M. Q., Wang, Q. P., Jin, X. Y., and Chen, Z. L. (2009). “Removal of Pb (II) from aqueous solution using modified and unmodified kaolinite clay.” J. of Hazardous Materials, 170(1), 332-339.